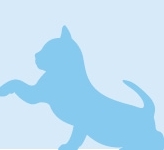 Cavan Vets is a leading veterinary practice having years of experience offers the highest standards of health care for your pets which covers Cannock, Walsall, Willenhall and Wolverhampton and surrounding areas of UK. Pet Health Services Cavan Vets has years of experience treating a wide variety of animals. We offer the best available health care for your pets in Willenhall, Wolverhampton, Cannock and Walsall. For more details call us: 01902 603 050. Vet in Walsall Cavan Vets has years of experience treating a wide variety of animals. We offer the best available health care for your pets in Willenhall, Wolverhampton, Cannock and Walsall. For more details call us: 01902 603 050. Cavan Vets has years of experience treating a wide variety of animals. We offer the best available health care for your pets in Willenhall, Wolverhampton, Cannock and Walsall.